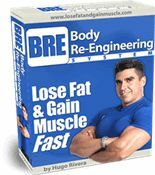 For years, I had been searching for the best way to overload my muscles each and every time I go in the gym. I know you can relate to those days when you worked “hard” but still felt like you could have done more. I CRAVED something that would ensure that my muscles are taken to their limit, and CREATE NEW GROWTH! Let’s first understand something about the human body. Our bodies want to maintain EXACTLY as they are. It’s called homeostasis. For all our attempts to change it, our bodies fight back as much as possible to maintain the status quo. We need to coerce them! We need to show our bodies that there is a reason to grow bigger and stronger. We are going to be placing some increased demands on these muscles, so you better make them bigger! In order for this to happen, the stimulus you are subjecting your body to MUST be greater than it is used to. Sounds simple enough, right? Well, the problem is that your body is smarter than you are. It’s going to tell your brain to shut your muscles off. It doesn’t want to do all this work you’re subjecting it to, so it starts to create lactic acid. Lactic acid builds up and your muscles STOP! This is a fact we cannot control. Being a research junky, I had always read about overloading the muscle and overloading the nervous system to stimulate new muscle and strength gains, respectively. Time under tension was proven to be the number one factor that correlated with muscle growth and overload! Something clicked in my brain! Time under MAXIMAL TENSION!! This had to be better than just time under tension! And so, my GROWTH BABY was born! So, you’re in the gym, feeling all cool and pumped up for today’s big workout. You feel strong and you feel like you’re going to build some serious NEW MUSCLE today! You pick up a BIG weight that you know you can rock for a perfect 8 reps! You knock out the first 4 reps, piece of cake. Rep 6 comes around and here comes the burn! Rep 7, ooooh it’s getting heavy. Muscles burn like fire. 8th rep is darn near impossible, but you get it. You set the weight down and stand up. You feel a bit of a pump in your muscle, but nothing great. You feel like you could have done more but you know you gave it your all; your body just shut off. Was it because your muscle was actually completely exhausted? Or if someone put a gun to your head, could you have done more? 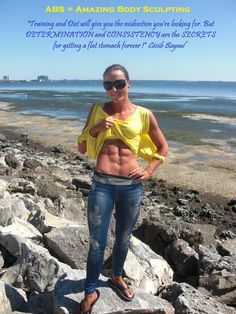 Is there ANY way you could have asked your muscles to continue to work? Maybe you could’ve extended that time under tension just a little bit? You grab a slightly lighter weight and keep rockin’! You blast out 6 more reps! Your Time Under Tension IS WAY greater now. 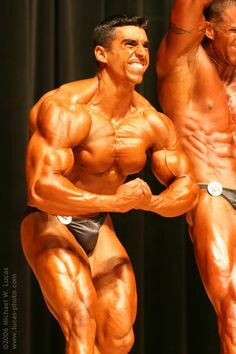 You even knock out a couple of partial reps with perfect form! Somewhere in the back of your mind you see Rocky running up those stairs and feel the urge to march on! 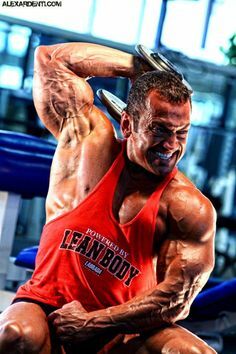 You grab the next weight and smash out another 6 perfect reps!! So fired up, nothing can stop you now! You continue one more time with a slightly lighter weight. WOW!! Now you’re cooked. Your muscle couldn’t budge another rep, not another partial. You could barely lift the weight of your arms. THIS is what we call VICTORY! 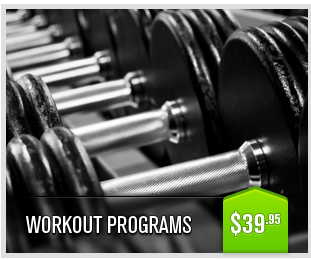 You have just elicited the MOST AMAZING environment for muscular growth imaginable. Congratulations! Rocky would be proud! 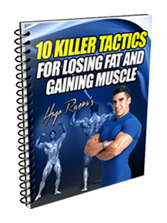 By taking this set to complete muscular failure, not only have you overloaded your muscles, and your overloaded nervous system, you have also just started the process of creating the optimal hormonal environment for growth. When you take you muscles to exhaustion, your body now sees a need to make them bigger to adapt to this type of stimulus so it starts releasing Growth Hormone and IGF-1 (insulin-like growth factor). These two hormones are HIGHLY correlated with muscle growth and reduction in body fat! That brings us to…. the next GAMECHANGER! This one is the glue that binds it all together. 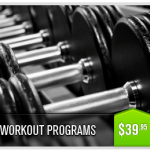 Now that I’ve shared just about every secret you’re ever going to need to know about building muscle inside the gym…. It’s time for what you need to know OUTSIDE the gym. Leave a Comment with Facebook for Solution #4 To Doubling Your Muscle Gains: NEUROLOGICAL OVERLOAD SET-NOS! !